Croft Solicitors are representing clients in the much publicised Supreme Court appeal concerning Article 50 of the Lisbon Treaty. The Government is appealing the High Court Judgment of Lord Chief Justice Thomas, Master of the Rolls Sir Terence Etherton, and Lord Justice Sales. Our clients are a group of British citizens who are all Members of Fair Deal for Expats, an organisation set up since the referendum in order to try to achieve the best deal for the estimated 1-2 million British Citizens who live in another EU country. Each of them lives in, or has significant connections with, another EU member state and are profoundly affected by the issues arising in these proceedings. 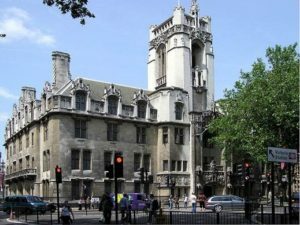 Shortly after publication of the High Court’s judgment, the Government took the decision to appeal to the Supreme Court, leapfrogging over the Court of Appeal given the urgency of reaching a conclusion on the legal issues involved. For the first time in UK history, all eleven Supreme Court justices will sit to hear the case. All of the parties to the High Court case remain involved in the appeal. In addition, each of the devolved nations of the UK have intervened in the case, as has Lawyers for Britain and the Independent Workers Union of Great Britain. All of the parties’ written cases can be downloaded using the links below. The Expats Interveners’ (our clients’) written case is here. The Secretary of State for Exiting the EU’s written case is here. Ms Gina Miller’s (The First Respondent) case is here. Mr Deir Dos Santos’ (The Second Respondent) case is here. The Scottish Lord Advocate’s (Intervener) case is here. The Attorney General for Northern Ireland’s (Reference) case is here. The Counsel General for Wales’ (Intervener) case is here. Mr Graham Pigney and Others’ (Interested Party) case is here. The AB Parties (Interested Parties) case is here. Lawyers for Britain’s (Interveners) case is here. The Independent Workers Union of Great Britain’s (Intervener) case is here. In common with most Supreme Court hearings, the Appeal will be broadcast live on the Internet. The stream will be available to watch here, beginning on Monday, 5 December 2016 at 10am.